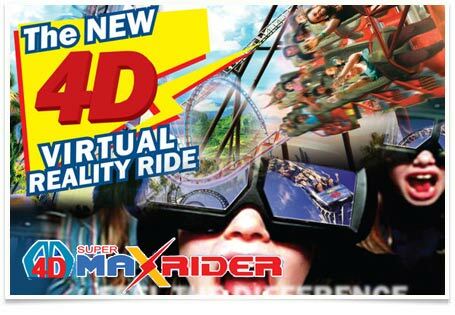 We tried the 4D Super Max Rider in SM Manila. I hadn't heard of it before but it sure was intriguing. I've always wanted to try virtual reality. Why 4D? The rides combine 3D videos with moving seats, that's why! So you not only see and hear what's happening onscreen, but you also experience every twist and turn. 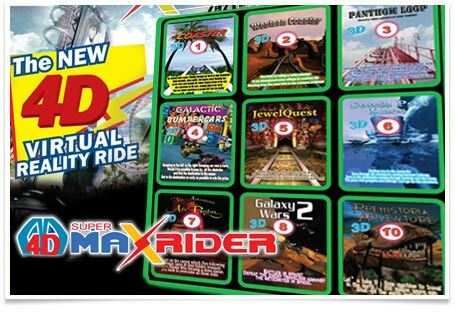 We were the only customers that time, but if I'm not mistaken, 4D Rider Max is a Korean technology introduced in the Philippines just last year. So with a little more publicity, I'm sure it will become more popular. There were more than 20 themes to choose from. Choosing was a bit hard, since all the choices seemed interesting. After a few minutes, we decided to try the roller coaster ride and an outer space ride. Each ride lasted for 10 minutes. The staff were accommodating and helpful. Upon learning that we were first-timers to 4D Max Rider, they suggested their popular rides, helped us to our seats, and even assisted me in getting off the platform since I looked a little disoriented hehe. The rides were very enjoyable. Compared to a real roller coaster ride, this was obviously a lot safer. I usually shy away from roller coaster rides due to safety concerns but knowing that I was sitting just a few feet above the ground, with the staff standing by, made me enjoy the 4D Max Rider rides. Surprisingly, I found the outer space ride wilder than the roller coaster one. I had to really hold on tight for that one. When going for a ride, I recommend bringing a handkerchief sprinkled with White Flower oil. we tried a 4D ride while we were in SM Cebu and my kids enjoyed it. I've tried Abreeza Ayala's Xrider here in davao and it was pretty boring! ZzZzz. . I hope SM Davao would have something like that, it might just be better than the xrider..
Yaiks! I'd be puking after this lol..
Hi Jinky. We used vouchers then. Funny thing, I'm too scared to go on that ride, but my 6-year old daughter isn't! She loves going on that 4D thing over and over again, it's crazy!